Page Street Publishing, 9781624146664, 192pp. The sous vide method isn’t just for high culinary cooking anymore. Home cooks can prepare flavorful, perfectly-cooked meals with ease—even the trickiest cuts of meat come out cooked to your exact expectations in a precision water bath. Justice Stewart has taken the guesswork out of mealtime so that you can get it right every single time. 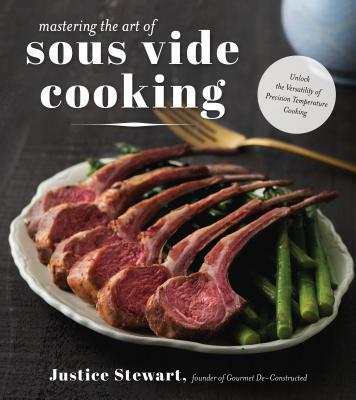 Justice Stewart is a private chef to celebrities and former sous chef for Madison Square Garden. He is also the founder of the blog Gourmet De-Constructed. He lives in Brooklyn, New York.